Update: Multiple confirmations now that this update is indeed happening. Commenters and some well-known XDA users are getting JWR66Y. It's still looking like a minor security update and nothing more. 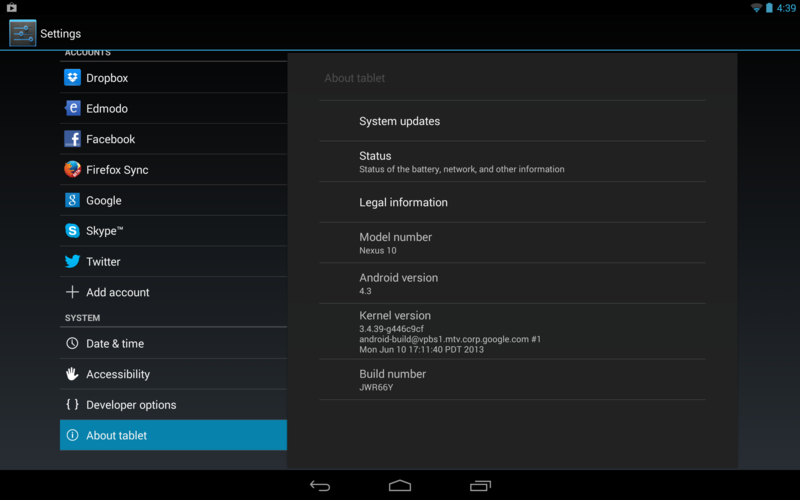 Update 2: The 3G Nexus 7 (2012) is getting the update as well. Not only that, the OTA update link has been spotted. This is the Nakasig version, remember. The WiFi variant is Nakasi, and no news on that yet. Yesterday T-Mobile posted scant details regarding a mysterious Android system update for the Nexus 4 with the build number JWR66Y. Then the Galaxy Nexus started seeing the update. Now it looks like the update might have hit at least one Nexus 10. Unfortunately, we still don't know what the heck it does. T-Mobile only listed "Security" under the improvements header. So, presumably it's patching some manner of system exploit that was discovered. This doesn't increment the Android version either – it's still just 4.3. We haven't yet been able to positively confirm any more instances of this update, so remain skeptical. 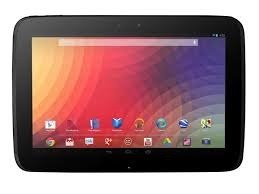 No sign of the update on any Nexus 7 units as of yet, but we'll keep our proverbial ears to the ground. So if you have a Nexus 10 and care about this sort of thing, start mashing the update button. No promises, though.